I thought some readers would appreciate a New Year caption competition, so here is the first of 2019. It shows me speaking to some students after I gave the inaugural lecture, on Parliament and the Classics, at the Victoria Gallery, Liverpool, last year, to mark the creation of the Network for the Interface of Classics and Politics. I thought it would be an appropriate picture given that in subsequent posts I shall be writing about the relevance of the classics – especially Artistotle’s analysis of oratory – to contemporary politics. As usual, the winner will be the reader who provides the most witty and apt caption for the picture. The prize will be one of my recent publications. This entry was posted in Uncategorized and tagged Aristotle, caption competition, Liverpool, Network for the Interface of Classics and Politics, Victoria Gallery. Bookmark the permalink. When I’ve shuffled these cards you can all pick one, and whoever picks the highest value card gets to decide what type of Brexit have. As a Harry Potter fan, Lord Norton attempts to escape the encircling mob by disapparating. LN: Don’t look worried, yellow vests are provided. Remember, health and safety is the remit of our EU State protectors. They won’t let you down. How can they? They’re chosen from lists of volunteers with the correct qualifications. Female instinct. The crowd were not impressed with the buskers playing of the Air Saxaphone. There was not a comfy chair in sight as attendees were forced to stand to attention. One more time then. As I was telling Theresa the other day, it’s not easy to be subtle about it, if you haven’t been taught by an expert. 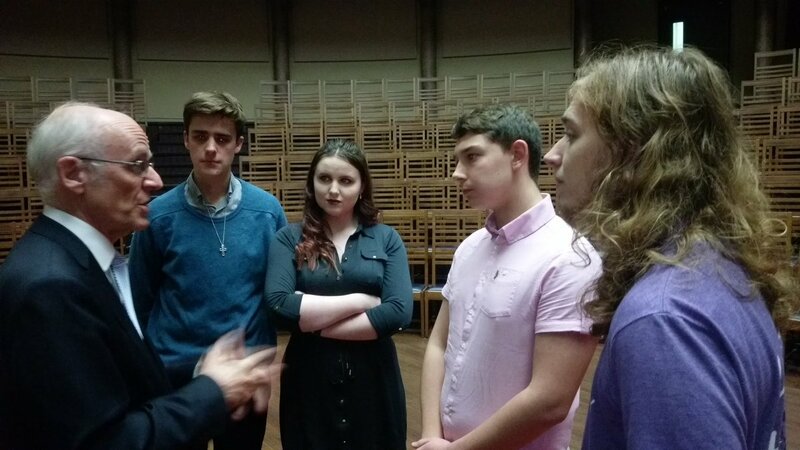 Students are shocked at the sight of Lord Norton seemingly not wearing a tie. I am wearing a tie!